Beautifully updated custom 2 story in prestigous Wildhorse. Wonderfully maintained by original owner. Dramatic 2 sty foyer & split staircase welcome you to this home. LR/office opens to family rm w/bay & walks out to huge deck. Formal Dining Room. Gorgeous updated kitchen w/Wolf s/s appliances, granite countertops, 5 burner gas range, beautiful backsplash, center island, walk-in pantry, planning desk. Breakfast rm opens to sunroom where you can relax & watch the seasons unfold while enjoying the peace & tranquility of the private wooded lot. Huge master suite w/gigantic walk-in closet, luxury master bath, jetted tub, two vanities, separate shower. Two BRs share Jack & Jill bath, 4th has en suite bath. Extensive millwork, 9′ ceilings throughout, transom wndows. Spacious finished LL w/possible 5th BR, FR, workout rm & more. Enjoy nearby walking trails, shopping, restaurants, subdivision pool & tennis. 3 car oversized garage w/ extra tall bay fits an RV. Top rated Rockwood Schools. 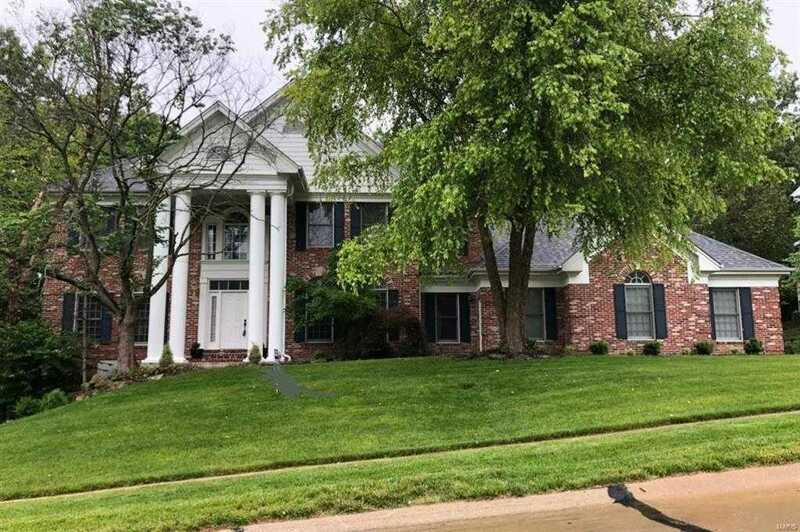 © 2019 St. Louis Realtors. Each Keller Williams Realty Office Is Independently Owned and Operated Real Estate Website Design powered by Home Junction.